With the term “deep state” getting a lot of mileage these days with respect to the take-down of Trump’s original National Security Advisor, Michael Flynn, it seems like a good time to draw your attention to the origins of the term. 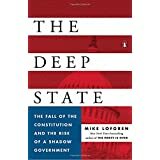 Mike Lofgren, a former congressional staffer and defense analyst, wrote a book with that title a few years back. Below is a link to a 26 minute interview that Bill Moyers conducted with him. Germany, France, Russia and Ukraine agreed on Saturday to use their influence to implement a ceasefire and the withdrawal of heavy weapons from Monday in eastern Ukraine. Fighting has recently escalated between Ukrainian forces and Russian-backed separatists in the region, refocusing global attention on a simmering conflict that has strained relations between Russia and the West. “On Feb. 20 the ceasefire regime will start and withdrawal of heavy military hardware will also start … We have actively supported this decision and obviously expressed a conviction that this time, failure should not be allowed to take place,” Russian Foreign Minister Sergei Lavrov said after talks with his Ukrainian, German and French counterparts in Munich. This is an invisible emergency – a crisis most of the world has forgotten,” said UNICEF’s Representative in Ukraine, Giovanna Barberis, in a news release. “Children in eastern Ukraine have been living under the constant threat of unpredictable fighting and shelling for the past three years. Their schools have been destroyed, they have been forced from their homes and their access to basic commodities like heat and water has been cut off,” she stated. The release attributed the increase – an additional 420,000 girls and boys – to the continued fighting and the steady deterioration of life in eastern Ukraine, where some 1.7 million people have been internally displaced, and many families have lost their incomes, social benefits and access to healthcare, while the price of living has sharply risen. Hundreds of daily ceasefire violations put children’s physical safety and psychological well-being at risk. The situation is particularly grave for the approximately 200,000 girls and boys living within 15 kilometres on each side of the ‘contact line’ in eastern Ukraine, a line which divides government and non-government controlled areas where fighting is most severe. In this zone, 19,000 children face constant danger from landmines and other unexploded ordinance and 12,000 children live in communities shelled at least once a month. Thousands of children are regularly forced to take refuge in improvised bomb shelters. Teachers, psychologists and parents report signs of severe psychosocial distress among children including nightmares, aggression, social withdrawal and panic triggered by loud noises. More than 740 schools – one in five in eastern Ukraine – have been damaged or destroyed. “The main guidelines for humanitarian assistance are medical and education services, pension payments and assistance to divided families,” the statement said. The programme envisions humanitarian foundations for financial assistance and joint cultural, education and sporting events involving residents on both sides of the contact line. Zakharchenko and Plotnitskiy noted that Kyiv-controlled Donbass areas are on the brink of a humanitarian crisis. Economic production is being discontinued in the zone of Kyiv’s so-called “anti-terrorist operation”, living standards are plunging and infrastructure facilities are in disarray. “We insist on the possibility to inspect water pumping systems at operating and non-operating mines, the Popasnaya water utility, Lisichyansk refinery, Zarya (Rubezhnoye) and Azot (Severodonetsk) companies, Voda Donbassa water company, water treatment plants, chlorine storages, Avdeyevka coking plant, Konstantinovka state-owned chemical plant and Dzerzhinsk phenol plant,” the republics’ leaders said. They also demanded unhindered access for humanitarian organisations to Kyiv-controlled territory for monitoring, power, water and gas supply facilities. The documents in question are things like driving licences, birth and marriage certificates, travel documents and the like. Russian recognition of the documents in part reflects traditional Russian political and diplomatic practice of recognising and accepting realities. The Donetsk and Lugansk People’s Republics unquestionably exist irrespective of whether or not they have been recognised internationally. As the Executive Order says, it is inhumane to consign the people they administer to an international legal limbo because the two People’s Republics are not internationally recognised. Recognising the documents they issue seems first and foremost intended to make it easier for the people who live in the territories of these two republics to travel to Russia, where many of them have relatives and where many of them go for work. At the same time recognition of the documents of the two People’s Republics highlights a point the Russians have long been making, which is that the longer Kiev delays reaching a political settlement of the conflict, the further from Kiev’s orbit the two People’s Republics will go. ….What kind of relationship do we want to establish with the United States? We want relations based on pragmatism, mutual respect, and understanding of our special responsibility for global stability. Our two countries have never been in direct confrontation with each other. Our history is steeped in friendliness more than confrontation. Russia did a lot to support the independence of the United States as it proceeded to become a united powerful state. Constructive Russia-US relations are in our common interest. Moreover, America is our close neighbour, just like the European Union. We are divided by just 4 km of the Bering Strait. The potential of our cooperation in politics, the economy, and the humanitarian sphere is enormous. But, of course, it has to be tapped. We are willing to go ahead and do so inasmuch as the United States is prepared to do so on its part. ….Today, more than ever, we need a dialogue on all complex issues in order to find mutually acceptable compromises. Actions based on confrontation and the zero-sum-game approach will not cut any ice. Russia is not looking for conflicts with anyone, but it will always be in a position to uphold its interests. An article has recently appeared in Foreign Policy magazine reporting on the illicit use by Washington of depleted uranium in airstrikes against ISIS in Syria. It remains unclear if the November 2015 strikes occurred near populated areas…. BAGHDAD (AP) — U.S. Defense Secretary Jim Mattis said Monday he believes U.S. forces will be in Iraq and in the fight against Islamic State militants for a while, despite some rocky times between the two nations. Speaking at the end of a day of meetings in Baghdad with military commanders and Iraqi political leaders, Mattis said he is open to any request from his military commanders to aid the battle to retake Mosul and launch a major battle to oust IS from the base of its so-called caliphate in Raqqa, Syria. He would not provide details. ….”I imagine we’ll be in this fight for a while and we’ll stand by each other,” Mattis said. Russia Will Not Sell Out Iran for Washington, Suggests Possibility of Returning to Iranian Airbase; Ukrainian Media & Gov’t Sources Admit Kiev Re-ignited Recent Fighting in Donbass; Dennis Kucinich Speaks Out on Syria Trip with Tulsi Gabbard; Patrick Armstrong on Strengths of Russian Economy; What Do Average Americans Really Think of Russia? This came after Russia also made known its disagreement with the latest sanctions the US has imposed on Iran. Within the past couple of days, the Russian ambassador to Iran, Levan Dzhagaryan, spoke publicly about the possibility of Russia working out of Iran’s air base near Hamadan, which they pulled out of months ago after briefly using it to run bombing missions into Syria. He also highlighted other aspects of the military and technical partnership between the two countries. ….By now, Moscow has fully closed a contract for the delivery of S-300 complexes to Iran, the Russian diplomat said. Escalation in Avdiyivka Sunday January 29 began after the collision of ATO’s [‘Anti-Terrorist Operation’] reconnaissance and sabotage unit with the militants. This was revealed to Ukrainian Pravda by the source in the intelligence structures familiar with the situation. The source said the fighters of the intelligence garthering unit encountered DPR militants nearby. “The battle began. Militants requested artillery support. Therefore, to save soldiers, Commander (23-year-old captain, deputy commander of a mechanized battalion of the Cornel Andrew Ombre 72 -red.) was forced to lead men forward and play a role as fighters,” said the UP source. The organization is in my neighborhood. Here’s photos I took yesterday of AACCESS-Ohio’s marquee. It clearly exists, despite the base, condescending assertions of Mr. Rogin. Enough of this dangerous pettiness. Let’s dig in to what is really going on, inside Syria, in the State Department, the CIA and the Pentagon. In the words of President Eisenhower, let’s beware (and scrutinize) the military-industrial-complex. It is time to be vigilant for our democracy. And, finally, some heartening news on the Russia front. Russia scholar Pietro Shakarian went to several cities in Ohio and interviewed a cross-section of average Americans – on the streets, in bars and coffee shops, etc. – to get their views on Russia, U.S.-Russia relations and what they think about the recent allegations of the Russian government having hacked the U.S. presidential election. Pietro A. Shakarian, a PhD Candidate in Russian History at The Ohio State University in Columbus, Ohio. He earned his MA in Russian, East European, and Eurasian Studies at the University of Michigan in Ann Arbor, his MLIS at Kent State University, and his BA in History at John Carroll University in Cleveland. In addition to Reconsidering Russia, he has written about developments in Russia and the former Soviet space for The Nation, Hetq Online, and Russia Direct and he has appeared on The John Batchelor Show and the podcast for Sean’s Russia Blog. My first stop in Cleveland was the Clevelander Bar & Grill in the city’s downtown on 27 December 2016. After ordering a beer, I asked the people behind the bar about the Russians. “Can we get along with them?” I inquired. “What do you think?” I asked the barmaid. “Why do you think Russia is scary?” I asked. Later, I walked down the street to a Subway restaurant. After ordering a sandwich, I casually began a conversation about the Russians with the owner and his assistant, both middle-aged, round and jovial African-American men. Walking back, I traveled to the old beaux arts Leader Building on Superior Avenue. The building is under construction, being converted into condos. This was a perfect place to continue inquiries about the Russians. I found a group of affable construction workers on their break. The men were middle-aged. Three were white, one was black. “Can we get along with the Russians?” I asked. The Donetsk News Agency (DAN) is reporting 27 dead and dozens wounded resulting from two different attempts by Kiev forces to break through the DPR’s defense lines in recent days. The dead and wounded were from Kiev’s forces. As they retreated to initial positions, Ukrainian forces left their fatalities and wounded in the battlefield. However, that did not stop Kyiv. A second attempt to break through DPR defences was made which failed as well. ….Earlier reports said two DPR militiamen were killed and six others were wounded by Ukrainian forces shelling on Tuesday. “We ask you to stop Ukraine and compel Poroshenko to cease criminal actions against Donbass people. Make Poroshenko stop shooting at civilians and lift the economic blockade. It must be done before it is too late. Prevent great trouble before an environmental and humanitarian disaster occurs in our land,” reads the statement received by Donetsk News Agency. 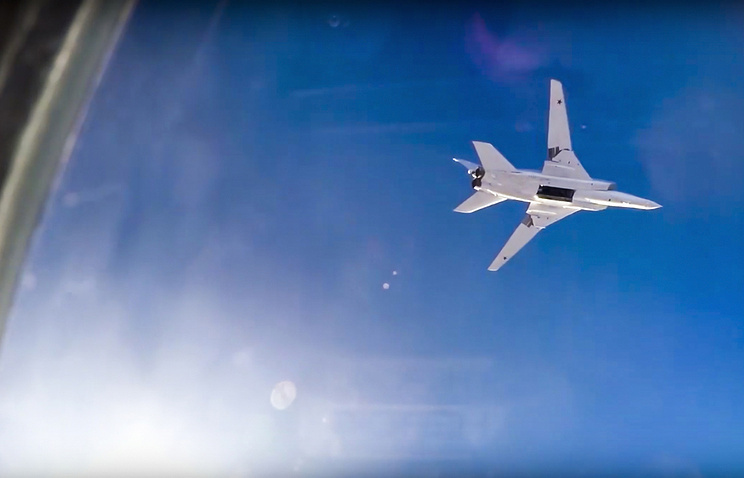 The statement noted that the Ukrainian military has targeted industrial facilities and infrastructure, thus creating the danger of environmental and humanitarian disaster both in Donbass and adjacent Ukrainian regions. Read the complete statement at the link above. It is being reported by Russian news outlet RIA Novosti that the German media is reporting that Berlin believes Kiev’s actions to be a provocation to sabotage possible conciliatory actions between Moscow and the new administration in Washington. MOSCOW – Berlin is increasingly concerned about the deteriorating situation in the east of Ukraine because they understand that the blame for what is happening in many ways lies with Kiev, writes Süddeutsche Zeitung , citing its own sources in the German government. According to available data from Germany, partly based on the reports of the OSCE mission, the Ukrainian military is trying to move the front line in eastern Ukraine in its favor. The newspaper notes that German government circles believe that Kyiv is deliberately trying to increase tensions in the hope that an escalation of the conflict will help derail any plans by U.S. President Donald Trump plans to mitigate anti-Russian actions. “In Berlin, they understand that Petro Poroshenko would do anything to prevent the lifting of sanctions against Russia”, the author writes. “The draft Constitution attempts to bring together and find shared points in those approaches that were outlined to us both by representatives of the government and representatives of the opposition, including all those present here, over the past several years,” Lavrov said. “Some of the oppositionists said the other day that the Constitution should be written by the Syrians themselves and compared this draft to the Constitution, which the United States had imposed on Iraq. This is a very incorrect position because in Iraq the talk was about occupants who had written the Constitution and it was imposed on the Iraqi people as an uncompromising text. In this case, the talk is about the proposals that have been transferred for consideration by the Syrian sides themselves,” the Russian foreign minister said. Russia is not imposing its draft Constitution on anyone and the talk is about the proposals called upon to stimulate a discussion on this issue in Geneva, the Russian foreign minister said. “We are convinced that it is time to stop arguing round and round the subject and it is necessary to focus on discussing specific issues that were outlined in Resolution 2254, including the work on the Constitution,” the Russian foreign minister said. “Moscow does not impose its own solutions, it just offers to speed up very complex work on drafting such a document,” the diplomat said. “No one is going to argue with the Syrians themselves about these sovereign issues for Syria.”. UN-sponsored talks are set to take place in Geneva for further negotiation of a settlement, but have reportedly been postponed. [S]omehow it feels to me, and I’m generally not overly optimistic about many of these initiatives, but this feels to me as something different. Well, it took place in Kazakhstan and that’s important because Kazakhstan has close relationships with Russia but also a close relationship on cultural grounds with Turkey. Now, why is this important? Well, for over the last six years, Turkey and Russia were on separate sides of this conflict and over the course of the last eight months or so, these two countries have begun to harmonize their view of the conflict. In other words, they claim to be on the so-called peace camp side of things. So, the fact that they picked Kazakhstan to have this meeting is important. It’s territory where both Turkey and Russia feel, in a sense, comfortable. So, they’ve shifted the center of gravity from a city, which the United Nations has made its preferred location for peace talks  that’s Geneva  out into the center of Asia. At this meeting, the three main regional powers that were there were Iran, Russia and Turkey. The purpose of the meeting really, in my opinion, was to cement the ties between Iran, Russia and Turkey, which had been greatly strained over the war in Syria. And indeed, that seems to have been the case because the final communiqué was really about Russia, Turkey and Iran helping to create a cease-fire mechanism inside Syria. But this was also the first meeting in six years of the Syrian government on the one side and the armed Syrian opposition on the other. This is very significant because a section of the armed Syrian opposition has now decided that the peace route is more important than continuing the battle inside Syria, and to some extent I think what one needs to read here is that the external supporters of, at least this part of the armed Syrian opposition, has decided that this war can now wind down. And by that, I mean, on the one side there’s Turkey, which obviously has decided that the war should wind down. It is, after all, joined with Russia and Iran in this process. But also, very significantly, Saudi Arabia, Qatar, the Emirates, etc., were not at the table  they were not interested. And nonetheless, despite the fact that they were not at the table, it’s important to understand that the leader of the armed Syrian opposition, the person who led that delegation at the meeting, was Mohammad al-Alloush, whose group, Jaysh al-Islam, is essentially the proxy of Saudi Arabia. In other words, Saudi Arabia didn’t insist on a seat at the table, which it has had at previous peace discussions, but it allowed its proxy to lead the armed Syrian opposition to the table. And a great deal was accomplished at this meeting. I think people generally like to understand peace talks or cease-fires as a one-off thing: either you do it or you don’t do it. But peace is a confidence-building process. So, I think there was a part opened up around the question of a cease-fire mechanism and I think around the fact that they just sat at the table for the first time despite the posturing on all sides, which is important because everybody has a constituency that they need to deal with. ….The fact that the Saudis were not there and they, let’s say, allowed their proxy to lead the armed Syrian opposition, suggests to me that Saudi Arabia has basically thrown in the towel in Syria. It is stuck in a quagmire in Yemen, where it has not been able to make any gains. It has its own internal economic problems. And I think the Saudis have read the tea leaves fairly clearly, which is that it’s unlikely that the Trump administration is going to put any resources towards overthrowing Bashar al-Assad. So, I think this indicates that the Saudis have thrown the towel in.